Homelessness among older people in Canada is a growing problem. However, inadequate understanding of this issue prevents the development of effective policies, strategies, and services that target homelessness among older people. More research is needed to address the unique challenges of older homelessness. Grenier, A., Barken, R., Sussman, T., Rothwell, D., Bourgeois-Guérin, V., Lavoie, J-P. (In Press, 2016). 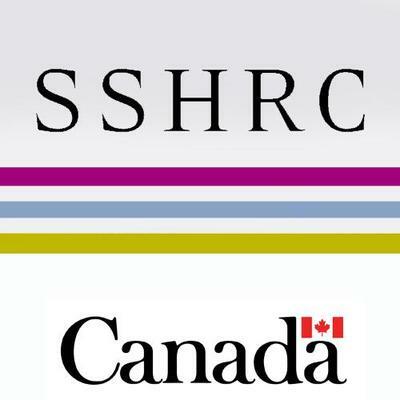 A literature review on homelessness and aging in Canada: Defining the parameters of a policy and practice-relevant research agenda. Canadian Journal on Aging. (#RCV-0352-E). Accepted Jan 2015; Expected early 2016. Homelessness among older people in Canada is a growing concern as the population ages. However, policies and research tend to overlook the unique needs of this group, and there is a lack of effective strategies to combat homelessness among older people. The literature review outlined what is known about older homeless people in Canada and identified gaps in knowledge. The researcher performed a comprehensive review of research on older homelessness published between 1978 and 2014. She reviewed 140 relevant published journal articles on this topic. To summarize what is currently known about older homelessness she examined the statistics on the estimated prevalence of homelessness among older people in Canada, the many ways older individuals become homeless, and the differences that exist according to ‘race’, class, gender, ability, health status, and geography. The researcher also identified gaps in knowledge on this issue and proposed directions for future research. Structural forces (e.g. inadequate housing, poverty, etc. ), cumulative circumstances, and individual risk factors or trigger events (e.g. precarious employment, mental health issues, domestic violence, etc.) contribute to homelessness among older people. People ‘age faster’ on the streets. Older homeless people often have mental and physical health problems that are similar to non-homeless people who are approximately ten years older than them. Older homeless people have unique needs for health, housing, and social care. Existing services, however, often fail to meet these needs. More research is needed to understand the unique needs of older homeless people from diverse backgrounds, especially among members of disadvantaged groups including LGBTQ people, Aboriginal people, and immigrants. Better estimates of the prevalence of homelessness among older people in Canada, including information on subpopulations that are more likely to become or remain homeless in later life. Clearer understandings of the relationship between affordable housing and health and social care in mid to later life. Future research should examine the availability of affordable housing and access to care in mid to late life. A policy focus on re-housing homeless people who are over 50 years old and the development of supports for those who are unstably housed or vulnerable to situations that lead to homelessness. Identifying the effects of inequalities and disadvantages experienced by over-represented groups such as Aboriginal people and immigrants. A greater understanding of existing services and the barriers that prevent older homeless Canadians from accessing those services. For example, access is hindered by rigid boundaries between housing, health, and social care, few options for affordable housing and care, and programs that exclude people aged 50 to 64. This research can help researchers develop programs to address knowledge gaps on homelessness among older people. This research should also encourage decision-makers to re-examine how resources are currently allocated in order to develop more comprehensive supports for older homeless people in Canada.